A day of fun while trekking and discovering one of Pindos most beautiful mountains Orliakas. 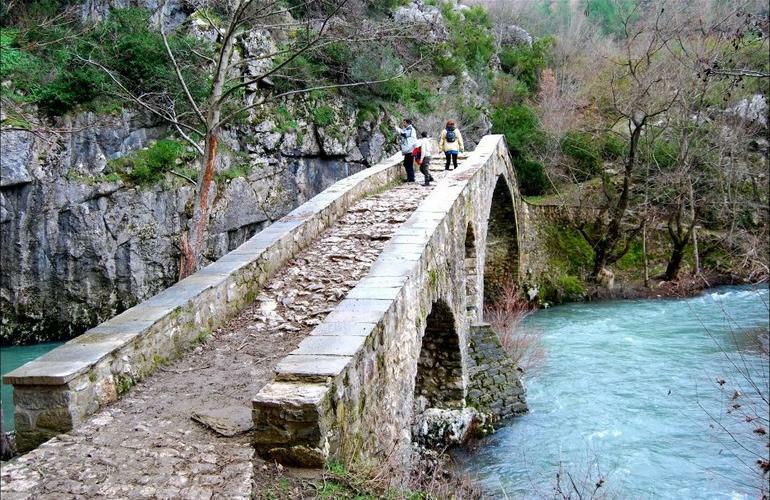 Your local guides will show you around the most beautiful area of eastern Pindos mountain range. Spileo village is a historical site, situated in the “balcony” of mountain Orliakas. 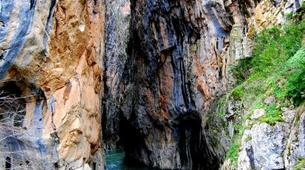 For its habitants living nature is everyday life, whereas for the visitors an astonishing discovery. 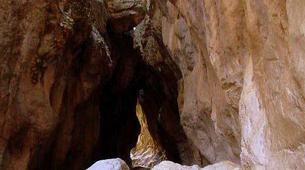 Its beauty and the special features of the area have been recognized from the state which declared it and officially as “site of historical importance and particular natural beauty”. It's there where you will start the trekking following a path that locals used it to have access to the springs of Venetikos river and their fields. 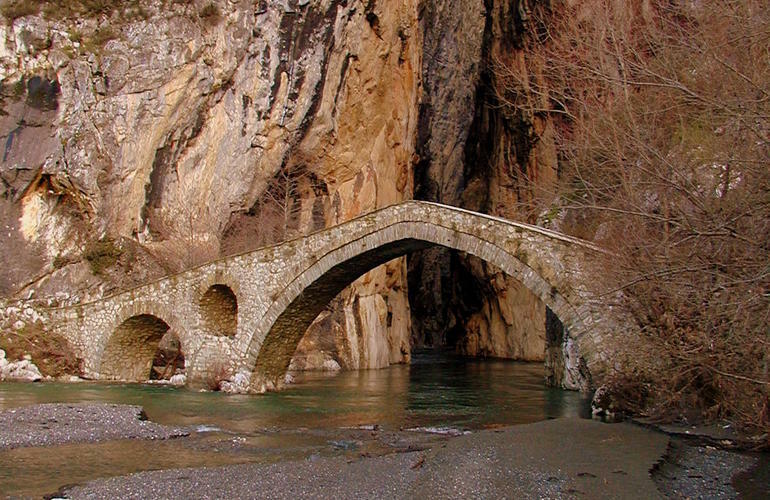 You will reach Portitsa valley, and from there the famous stone bridge of Portitsa. 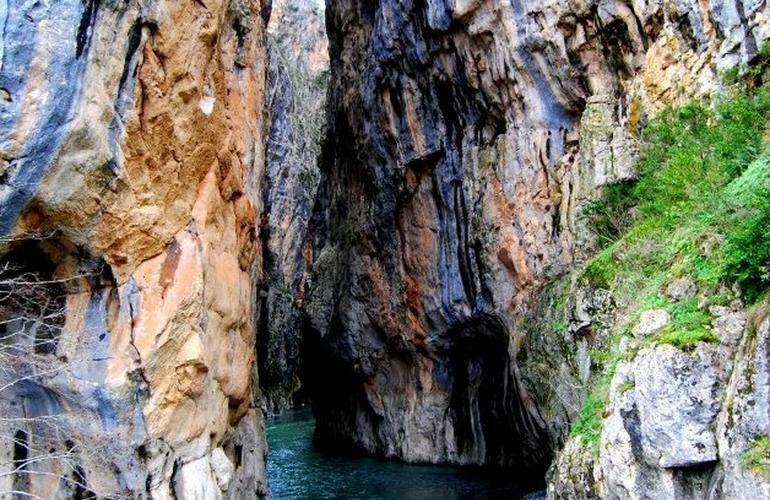 The two giant rocks stand at the entrance of the Portitsa gorge creating a breathtaking scenery. You will have the time to admire the views, and after a while return to the village. 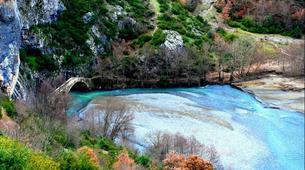 Coming from Grevena: Take the road to the national ski center and follow signs for the village Mavranei. From there go on straight for the village Ziakas. After the village you will find a sign for Spileo village at your left. Go on until you reach village square. 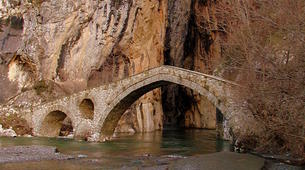 Coming from Kalampaka (Meteora): Take the road to Ioannina. After 10 km at the road junction, turn right to Grevena. 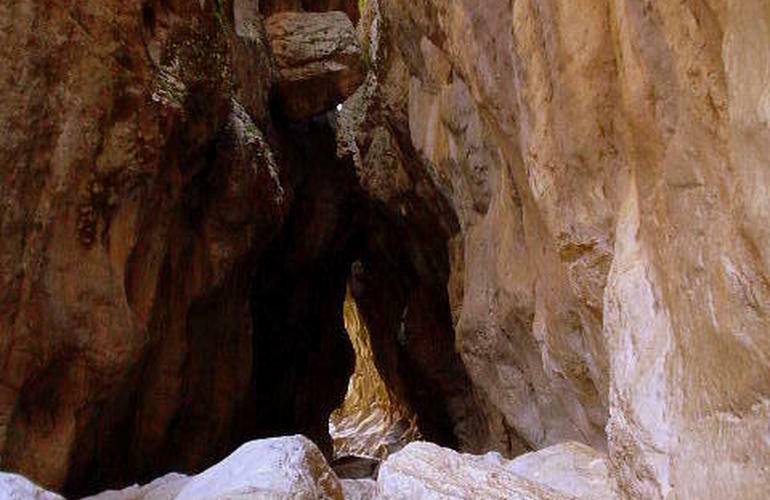 Keep following the signs to Grevena. 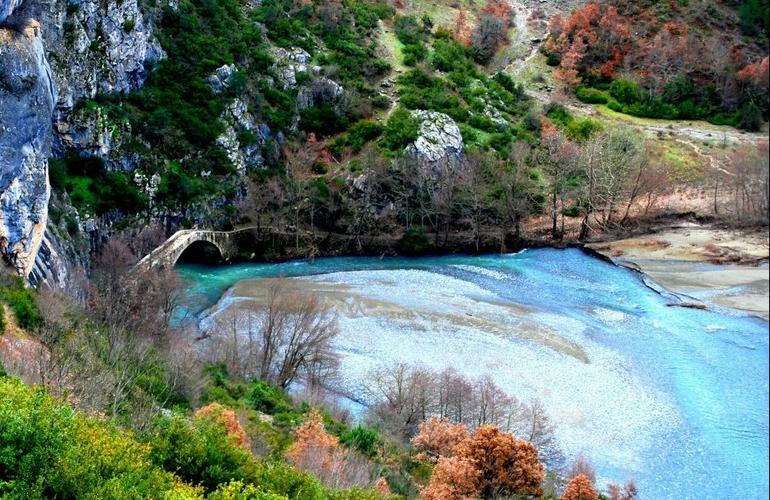 At 65m (counting from Kalampaka) you will enter the Egnatia highway with direction to Ioannina and then you exit on the next junction to the national ski center. Passing through the village Mavranei go on straight to the village Ziakas. After the village you will find a sign for Spileo village at your left. Go on until you reach village square.